When Kim HyunJoong was talking, he would never fail to mention about his group SS501. 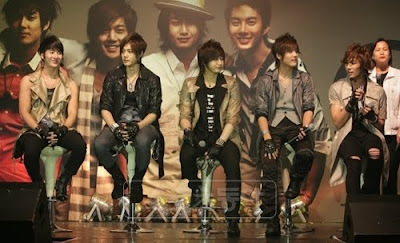 Even though now the 5 members (Kim HyunJoong, Heo YoungSaeng, Kim KyuJong, Park JungMin, Kim HyungJun) are with new agencies separately and moving towards their own dreams, leader Kim HyunJoong’s love towards SS501 is beyond that. He responded with his unique calmness about their disbandment, “Will reunite together some day”. Kim HyunJoong talked in details about the member’s recent lives, Kim KyuJong and Heo YoungSaeng’s Decemeber fan meeting, Park JungMin preparing for his solo album, Kim HyungJun engaged in musical ‘Café-in’. A big brother’s attentiveness definitely stands out from the rest. He said his sorry and gratefulness towards fans who waited endlessly for them, some day the day will come where he will repay generously to them. He also revealed an intention to hold a concert for their fans soon.